When is it worth It to refinance your home? With financial markets fluctuating constantly, it can be hard to know when it is a good time to refinance. In some cases, a homeowner can throw some numbers into an ‘Is it worth it to refinance calculator’. However, it is still best for a homeowner to understand how refinancing works, and affects a homeowner, in order to make his or her own decisions. After all, both the savings and the expenses will be solely the responsibility of the homeowner. A few pointers can help determine if and when it is worth it to refinance. Refinancing can cost between 3 and 6 percent of the loan’s principal. Refinancing requires, in most cases, an appraisal, application fees, and other ancillary fees that add up. Before jumping into the refinance process, a homebuyer must understand the goal of their financial decision. How does the market meet your needs? The Federal Reserve projects interest rates to increase through 2018. The increase of these rates will affect purchases mortgages and inherently refinances. The uptick in interest rates on loans makes it timely to start talking about refinancing. If you secured your purchase mortgage pre-2008, mortgage interest rates were approximately 6 percent. Rates fell drastically around 2012, and have slowly started to climb again. If you have an interest rate that is 2 percent, or higher, than the current interest rates, it is worth it to refinance. What products can you refinance to? When it makes sense to refinance often comes down to the deal you’re able to secure at any given time. You’ll need to compare different offers to your current financial situation to really gauge if it’s worth it. Fixed term mortgages like 15 and 30-year refinance options are popular. 30-year refinances offer lower monthly payments, but potentially higher interest over the life of the loan. 15-year loans have a slightly higher monthly payment but cost less over the course of the loan. The benefits of the 15-year term are the substantial savings in interest and the fact that the home will be paid off in 15 years as opposed to 30 years. The drawback is the monthly payment. In this case, if a homeowner could afford the 15-year mortgage, it would be worth it to refinance. The answer to the pressing question of “when is it worth it to refinance your mortgage” will depend on how long your family plans of living in that home. If you don’t plan to stay in the same home in the long term, remember to calculate your break-even point, or how long it will take for you to pay-off your refinance. To estimate your break-even point divide the amount of closing costs by your monthly savings. Let’s say you spend $3,000 in closing costs and earned and monthly savings on $200, by dividing $3,000 by $200, it is easy to determine that it will take 15 months for the home in this example to begin “making money” on the refinance. If a family is likely to move to a different home before those savings are realized, then refinancing doesn’t make sense. 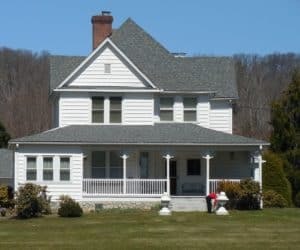 If, however, a long-term residency is most likely, the savings can begin to accumulate after that 15-month period and this family can comfortably determine that refinancing is in their best interest. How do percentages, points and fees factor into a refinance? Traditionally, mortgage experts state that watching interest rates is important when homeowners are considering refinancing. If the prevailing mortgage rates go down at least one interest rate point, then it can be worth it to refinance. However, this is a bit too simplistic for most people. In order to adequately answer the pressing question of is it worth it to refinance, it helps to break down the bottom line. In most cases, the monthly payment in relation to the additional closing costs will be the deciding factor in determining the question of is refinancing worth it. For a simple example, it can help to break down the numbers and do a comparison. Closing costs average around $3,000 for a standard home. Depending on the property value, the owner may pay a bit more or less. If the current payments are around $1,800, it may be possible to save as much as $200 per month by refinancing. Still, is it worth it to refinance? Whenever a homeowner decides if it’s worth it to refinance it’s important to consider all expenses. There can, for example, be penalties for paying off one mortgage early to obtain another. The above equation still works as long as the homeowner adds in these other fees and penalties. If homeowners ask is it worth it to refinance and neglect to dig deep for the sometimes hidden costs, they can end up in a mortgage that was more than was expected, which can be a worse situation than the initial mortgage. Again, gather the numbers and use an is it worth it refinancing calculator if doing the math yourself is uncomfortable. Next post: How soon can you refinance a mortgage after buying a home? Previous post: Are refinancing points tax deductible?